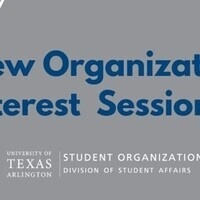 This session is designed for students or faculty/staff interested in starting a new registered student organization. During this session we will outline the sequential process to registration including application materials, developing a mission, advisement, governance, requirements and regulations. Though it helps to have a basic concept of your organization (e.g., name, purpose, mission), you don't need have to have anything else prepared in advance in order to attend one of these sessions. Please note that the university will not register a new organization if one already exists to serve the same purposes. It is advisable that you take some time to browse the directory of organizations to see if such an organization is currently registered. For more general information regarding student organizations please visit the Student Organizations Office webpage. Space is Limited! RSVP to let us know that you plan to attend.